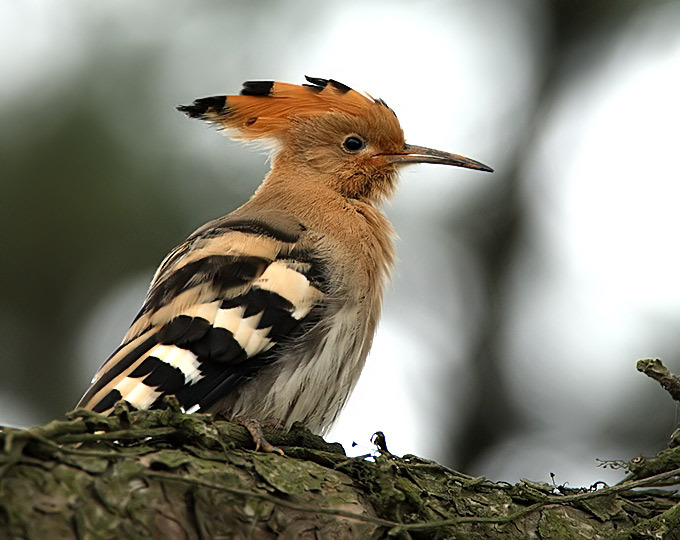 The Hoopoes are a small Old World family of two or three species (see below) of similar birds. All have long, thin, and decurved bills; broad round wings; square tails crossed by a wide white band, and long erectile crests. 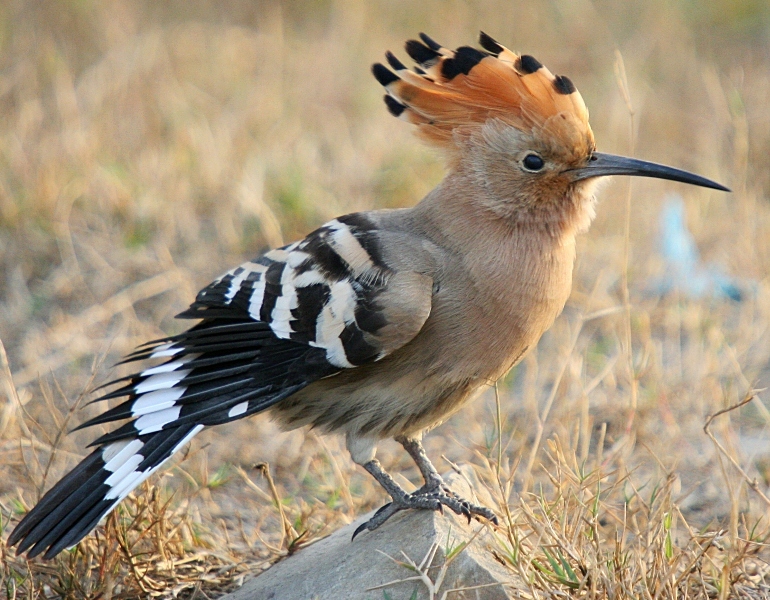 This Madagascar Hoopoe (left) has its crest erected.